Calling all linen lovers! 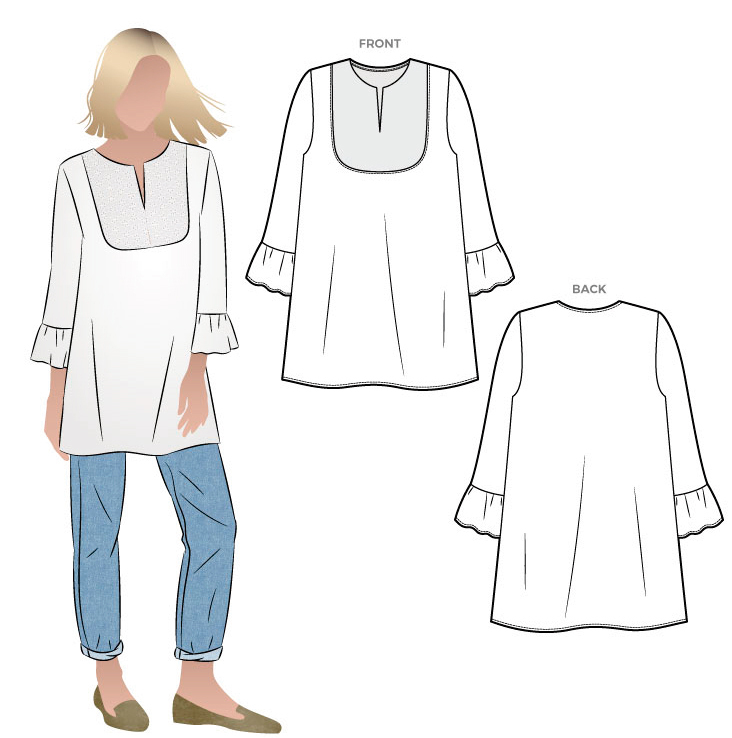 For our mid-month sewing pattern release we have created a feminine tunic sewing pattern that boasts a boho silhouette featuring lantern sleeves. This Culliver Tunic works fabulously in a linen or cotton fabric which is perfect for cool summer nights. Use your own design skills by selecting a contrast fabric for the yoke or sleeves. We used a cotton lace for the yoke and a washed linen for the main. This versatile tunic is a perfect all-rounder, that is great for weekend wear.